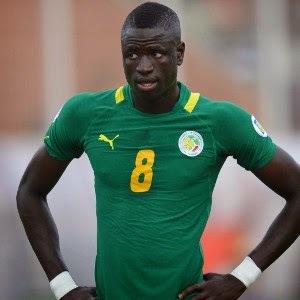 West ham will be bracing themselves for further criticism as the Senegal national side were dumped out of the African Cup of nations this evening losing their final group match 2-0 to Algeria. 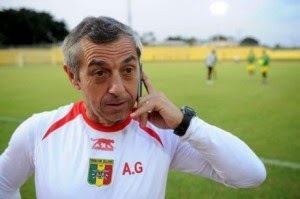 Its difficult to say for sure where the absent Diafra Sakho would have figured in coach Alain Giresse's plans, but undoubtedly a lack of firepower up front contributed to their unexpected exit from the tournament. Sakho was demed unfit for National duty by the West Ham medical team but then subsequently made a faster than predicted recovery to appear as a substitute in last Sunday's FA cup clash with Bristol City. Even more galling for the Senegalese, the striking sensation not only looked sharp but also netted the crucial deciding goal! West ham made much of the need to transport Sakho to the game by Cadillac chauffeur, maintaining that he remained unfit to fly due to his niggly back problem. One suspects the accusations will fly as the Senegalese might well feel that they have been "East-ended"! The good news for West ham is the midfield powerhouse Cheikou Kouyate will now be available sooner than expected - a real boost ahead of a tough run of key Premiership fixtures that will almost certainly be season-defining for the Hammers.